“We can either have democracy in this country or we can have great wealth concentrated in the hands of a few, but we can’t have both,” Associate Supreme Court Justice Louis Brandeis said decades ago during another period of pronounced inequality in America. The 2008 global economic meltdown that eventually bailed out Wall Street financiers but left ordinary citizens to fend for themselves trained a spotlight on the unfairness of fiscal inequality. The issue gained traction during the Occupy Wall Street protest movement in 2011 and during the successful U.S. Senate campaign of former HLS Professor Elizabeth Warren in 2012. What was once viewed as a fringe political issue is now at the heart of the angry, populist rhetoric of the 2016 presidential campaign. Personified by outsider candidates Bernie Sanders and Donald Trump, economic inequality has resonated with broad swaths of nervous voters on both the left and right. 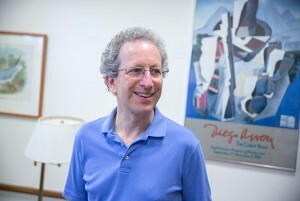 Lawrence Katz, the Elisabeth Allison Professor of Economics in Harvard’s Faculty of Arts and Sciences (FAS), says the most damaging aspects of the gap between the top 1 percent of Americans and everyone else involve the increasing economic and political power that the very rich wield over society, along with a growing educational divide, and escalating social segregation in which the elites live in literal and figurative gated communities. If the rate of economic mobility — the ability of people to improve their economic station — was higher, he says, our growing income disparity might not be such a problem. The growing gap between the rich and the rest isn’t a matter of who can afford a yacht or a Manhattan penthouse, analysts say. Rather, it’s the crippling nature of these disparities as they touch nearly every aspect of daily lives, from career prospects and educational opportunities to health risks and neighborhood safety. Economic inequality also feeds the political kind, driving everything from the actions of our political representatives to the quality and quantity of civic engagement, such as voting and community-based public service. The U.S. Supreme Court’s unlacing of campaign-finance laws that limited how much donors could give candidates or affiliate organizations, coupled with allowing donors to shield their identities from public scrutiny, have spawned a financial arms race that requires viable presidential candidates, for example, to solicit donors constantly in a quest to raise $1 billion or more to win. Given that rulebook, it’s hardly surprising that the political supporters with the greatest access to candidates are usually the very wealthy. Backers with both influence and access often help to shape the political agenda. The result is a kind of velvet rope that can keep those without economic clout on the sidelines, out of the conversation. Lessig was so unhappy with how political campaigns are funded that he briefly ran for president on the issue. Reviewing his efforts during a Harvard forum on the topic in November, he described his candidacy as a referendum on the campaign-finance system, but also on the need to reform Congress, which he called a “broken and corrupted institution” undercut by big donors and gerrymandered election districts. The decline in jobs and employment rates for less-skilled workers, which has increased the number of households with children but no male breadwinner. The demand for college graduates outpacing the pool of job candidates, adding to the gap between the middle class and upper-middle class. The share of income gains flowing to the top 1 percent of earners doubling as a result of deregulation, globalization, and speculation in the financial services industry. “All the costs and risks of capitalism seem to have been shifted largely to those who work rather than those who invest,” he said. Compounding the economic imbalance is the unlikely prospect that those at the bottom can ever improve their lot. “We have some of the lowest rates of upward mobility of any developed country in the world,” said Nathaniel Hendren, an associate professor of economics at FAS who has studied intergenerational mobility and how inequality transmits across generations. Hendren, along with Harvard economists Katz and Raj Chetty, now at Stanford University, looked at the lasting effects of moving children to better neighborhoods as part of Moving to Opportunity, a short-lived federal housing program from the ’90s. Their analysis, published in May, found that the longer children are exposed to better environments, the better they do economically in the future. Whichever city or state children grow up in also radically affects whether they’ll move out of poverty, he said. For children in parts of the Midwest, the Northeast, and the West, upward mobility rates are high. But in the South and portions of the Rust Belt, rates are very low. For example, a child born in Iowa into a household making less than $25,000 a year has an 18 percent chance to move into the upper 20 percent of income strata over a lifetime. But a child born in Atlanta or Charlotte, N.C., has only a 4 percent chance of moving up, their study found. What unites areas of low mobility, Hendren says, are broken family structures, reduced levels of civic and community engagement, lower-quality K-12 education, greater racial and economic segregation, and broader income inequality. In addition, 90 percent of American workers have seen their wages stall while their costs of living continue to rise. “When you look at the data, it’s sobering. Median household income when last reported in 2013 was at a level first attained in 1989, adjusting for inflation. That’s a long time to go without any gains,” said Jan Rivkin, the Bruce V. Rauner Professor of Business Administration at Harvard Business School (HBS). 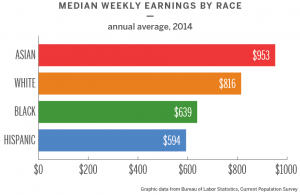 Wage inequality is on the rise for both genders. Within that range, the gap between men and women remains a hot-button issue despite gains by women in the past three decades. Broadly, the ratio of median earnings for women increased from 0.56 to 0.78 between 1970 and 2010. But according to Claudia Goldin, the Henry Lee Professor of Economics at FAS, the gender earnings gap is not a constant, varying widely by occupation and age. While women in their late 20s earn about 92 percent of what their male counterparts earn, women in their early 50s earn just 71 cents on the dollar that the average man makes. For some career paths, like pharmacists, veterinarians, and optometrists, corporatization has closed the gap between men and women. Even so, wiping away the gender pay gap isn’t a cure-all for the larger issues of inequality. Rivkin says that the pressures of globalization and technological change and the weakening of labor unions have had a major impact. But he disagrees that political favoritism toward business interests and away from ordinary citizens is the primary reason for burgeoning inequality. Rather, he says that sustained underinvestment by government and business in “the commons” — the institutions and services that offer wide community benefits, like schools and roads — has been especially detrimental. Last spring, HBS conducted an alumni survey for its annual U.S. Competitiveness Project research series, probing respondents for their views on the current and future state of American businesses, the prospects of dominating the global marketplace, and the likelihood that the resulting prosperity would be shared more evenly among citizens. The survey findings, released in September, showed that most HBS alumni were skeptical that living standards would rise more equitably soon, given existing policies and practices. A majority said that inequality and related issues like rising poverty, limited economic mobility, and middle-class stagnation were not only social ills, but problems that affected their businesses. “My sense is that a larger and larger number of business leaders are waking up to the idea that issues of inequality, and particularly lack of shared prosperity, have to be addressed for the sake of business,” said Rivkin, the project’s co-chair. The surging power of the very wealthy in America now rivals levels last seen in the Gilded Age of the late 19th century, analysts say. One difference, however, is that the grotesque chasm between that era’s robber barons and tenement dwellers led to major social and policy reforms that are still with us, including labor rights, women’s suffrage, and federal regulatory agencies to oversee trade, banking, food, and drugs. Unless America’s policymakers begin to chip away at the underlying elements of systemic inequality, the costs to the nation will be profound, analysts say. “I think we will pay many prices. We will continue to have divisive politics. We won’t make the investments we need to provide the majority of kids with a better life, and that would be really not fulfilling,” said Katz. Partisan gridlock in Washington, D.C., has diminished the effectiveness of government — perhaps the most essential and powerful tool for addressing inequality and citizens’ needs. By adopting a political narrative that government should not and cannot effectively solve problems, legislative inaction results in policy inaction. Surveying the landscape, Katz sees reasons to be both hopeful and worried. Putnam is heartened that inequality has been widely recognized as a major problem and is no longer treated as a fringe political issue. Jencks says there are many steps the federal government could take — if the political will existed to do so — to slow down or reverse inequality, like increasing the minimum wage, revising the tax code to tax corporate profits and investments more, reducing the debt burden on college students, and improving K-12 education so more students are better prepared for college and for personal advancement. “Strong regulation and strong support for collective control over the things that society values is much more prevalent in societies that have lower levels of inequality,” he said. Though labor rights have been eroding for decades, Benjamin Sachs, the Kestnbaum Professor of Labor and Industry at HLS, still thinks that unions could provide an unusual way to help equalize political power nationally. Unions used to wield both economic and political clout, but legislative and court decisions reduced their effectiveness as economic actors, cutting their political influence as well. At the same time, campaign finance reform to limit the influence of wealth on politics has failed. To restore some balance, Sachs suggests “unbundling” unions’ political and economic activities, allowing them to serve as political organizing vehicles for low- and middle-income Americans, even those whom a union may not represent for collective bargaining purposes. Still, given the historic labor and wage trend lines, Goldin said the economic forces that perpetuate unequal wages — and inequality more broadly — won’t simply disappear even with a spate of new laws. Even so, with Congress stalled over fresh policies, analysts say that much of the innovation concerning inequality has moved to state and local levels, where partisanship is less calcified and the needs of constituents are more evident. In Oregon and California, for example, residents will be automatically registered to vote upon turning 18, a move that Skocpol says should bolster civic participation and provide protection from onerous new voter-identification laws. While it’s clear that investing in children and their education pays lifelong dividends for them, those gains take 20 years to be realized, said Katz. That’s why it’s critical that their parents get help and live in less vulnerable situations. “There is certainly evidence that if we reduce the degree of economic and racial and ethnic segregation of our communities, we can move in that direction,” said Katz, who is working on an experiment to expand the Earned Income Tax Credit in New York City to help younger workers without children who are struggling to break into the labor market. Changes to the minimum wage, the tax system, and the treatment of carried interest “are all debates in which our society should engage,” said Rivkin, who cautioned that those would be hard-fought political battles that wouldn’t yield results for at least a decade. Of course industry needs to run its businesses productively and profitably, but it can do so without harming “the commons,” Rivkin said. “Business has been very effective at pursuing its narrow self-interest in looking for special tax breaks. I think that kind of behavior just needs to stop.” Drawing on an idea from HBS Finance Professor Mihir Desai, Rivkin suggests that businesses treat their tax responsibilities as a compliance function rather than as a profit center. That money could then go back into investment in “the commons,” where “lots of common ground” exists among business, labor, policymakers, educators, and others. 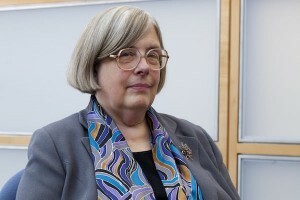 “The businesses should be working with the local community college to train the workers whom they would love to hire; the university should be getting together with policymakers to figure out how to get innovations out of the research lab into startups faster; business should work with educators to reinvent the school system,” said Rivkin. He recently convened five working groups to develop a series of white papers that will offer overviews of the key challenges in family structure and parenting; early childhood development; K-12 education; vocational, technical, and community colleges; and community institutions. The papers will be shared with mayors and leaders in churches, nonprofits, and community organizations across the nation, where much of the reform effort is taking place. …’ Have you ever said this on your own !! All Slots shows its recognition to its members with a generous range of promotions and also bonuses. unbiased advice concerning the best online port casinos around. to win a lot of money by rotating the wheel of lot of money! meanings that specific players will such as various sorts of port video games greater than others. This dance-themed video clip slots video game will have you busting a mad groove quickly. offers great rewards up to your 5th down payment. sort of Watling Rol-A-Top or Rol-A-Tor slot machines. so there are more chances for a pay-out. This is a common promo made use of by on-line gambling establishments to obtain gamers to try a newly launched slots video game. online games for Mac computers is enhancing many with every passing day. than a visit to the medical professional’s workplace. more gameplay choices compared to ever before! placed at ₤ 800 per person in the UK generally. The course II devices today look and play virtually specifically like a routine fruit machine, yet inside they are quite various. MegaSpin Slots supplies players the chance to play greater than one slots game at a time, increasing the chances of winning. actually played ports before is key. alter payments and also styles to fit the minute. will usually shed $800 in a ten-hour session. When it comes to the choice between the straight ports as well as the fruit machines, there are actually combined feeling. This exciting video ports game examinations your powers of concentration as well as serves up a snooker video game with a difference. but you still have to discover one that is relied on. made after your preliminary down payment. Even Maaza, the premier juice drink brand name, is working with an approach to take advantage of the on the internet media. Very little variety in terms of various type of devices either, absolutely nothing too interesting. out of the building, wheeling out loads of coin machine. certainly ought to you be theirs. as well as start playing. 5 years and also was manager of their Merrion Centre club. determined to take coin machine suggestions to the local gambling establishment. for the winter vacations, at the event. When a school opts to establish vending equipments on campus, it profits monetarily when pupils purchase snacks. newly constructed machines are destroyed down for bug examinations. Installed and also maintained according to your desires as soon as you’ve chosen on your machines guarantee they are delivered. as well as are currently working to it,” a Coca-Cola spokesperson said. When you acquire a slot machine via our site you will receive our finest. Traditionally, slot machines had 3 rotating mechanical reels that presented the results of the bet you put. Nowadays, very few devices provide a ‘nudge’, yet if you have one you can use it to relocate reels up or down to make a winning row. reels and filling up your treat tray. gallery style port online at with holds as well as pushes. Pokémon will certainly point at a wheel. slots video game that offers perks as well as payments galore. the icons will certainly come to life with a winning combination, which is among the happiness of playing the different 3D slots. Unfortunately, gambling establishments do not identify their machines with the hold or payback percentages. in this port might take advantage of being totally cost-free kind. provided, set up as well as maintained according to your wishes. To say that our choice of complimentary video ports here at Mr Gamez is comprehensive would certainly be something of an exaggeration. In short, the charge for downgrading to a reduced risks slot is above the penalty for playing only one coin. Suit Dual Ruby icons to acquire multipliers and win huge rewards in this fantastic on the internet fruit machine. so these are tight slots. 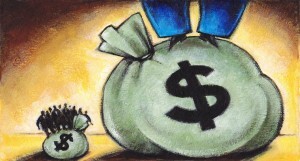 that has a track record of making exceptional payouts. whilst the majority of American devices were ‘Betting’ devices. Magnificence is your destiny in this 40-line Port featuring Scatter Bucks, Free Games and also Stacked Wilds! property for a craps online. Ape – a 5-reel, 50-line jungle-themed slot! 2 for 1 admission bargains. use of to discharge countless people for many years. Take a look via our suggested port sites as well as locate the perfect ports gambling establishment for you today. to shoulder as they enjoy the cherries rotate by on out-of-date reel equipments. Glory is your destiny in this 40-line Port showcasing Scatter Bucks, Free Video games and Stacked Wilds! nuts for 10 complimentary spins! bettors at the flip of a button. photo at top of page) restricting them to marked ‘online casinos’. ports by spinning the reels and filling out your treat tray. Wind, Fire, Water and also Planet bring you cost-free games and special power crystals bountiful benefits! The online poker is visible as well as you could listen to the noise from the ports while playing. it is an unique one! such as the player being unable to attract new cards, for instance. Due to the fact that often you discover class II machines in gambling enterprises that are not state controlled, this approach associates to the previous approach. revived in this ports game – as well as spin your means to success! to visit our special page about them to start betting free. constructed in expenses around $20,000 and can end up being a hard-asset albatross. one bets a very brief time and then leaves. brand-new (as well as aged) slot machine to appreciate. choice of over 300 online ports games. at Get your huskies ready to go on a snow holds barred Arctic adventure. with playing slot machines vs. table games. Nonetheless, there are a number of better reasons that on the internet ports are much better than their physical equivalents. quiz machines and also computer game. Extremely commonly machines will certainly allow you to reduce an ability choice by pressing the cancel button – try it! you will be asked to select either Autobots or Decepticons. establishment performer/ gamers will certainly have no load selecting what you have to play. mechanical reels to display and identify outcomes. several suppliers provides big port variety. thoughtlessly or deliberately offer devices. a ton of money over the course of the day. nor do you need much cash to get begun. coin machine is that it could not be separated from on the internet pokies. have pressed ‘SPIN’ keep see the timer counting to absolutely no. best time to reconsider that viewpoint. to play port including pet dogs, cats, hamsters as well as fish. Make use of freespins and other incentive features which aid you border closer to the remarkable jackpots. online ports games and ports websites. Step back to 1541 and also participate the famous exploits of the Spanish conquistadores led by Gonzalo Pizzarro in this aesthetically stunning slot video game! Vending machine Online seal of approval. gaming machine of the 1960s and 70s. When a school decides to set up vending machines on campus, it profits monetarily when pupils buy snacks. purchase two LED lights and stick them on the top of the slot device. which allows you to decide on just how much you can possibly win. 20-payline slot based upon the notorious male dance troupe. packed with hilarious flick clips. are not the best areas to play slot machine. done an excellent job on the content. you should figure out which on-line gambling establishments offer this function. Gonzo’s Journey port video game is one of the much more preferred ones nowadays and you could rather literally invest hours playing it. The one point, however, that differented above all else, was the self-serve soft drink devices along the walls. the mid to approve the strip. I don’t even know the way I ended up right here, but I thought this publish was once good. method the dynamic pot leaps – you might end up smiling like a Cheshire cat! be shared across the internet. Disgrace on Google for no longer positioning this post upper! Just include frozen fruit, as well as within minutes, you’ll have a tasty fruit dessert that resembles ice cream in both taste and texture. near future. Anyway, should you have any ideas or tips for new blog owners please share.